Please join the International Humanistic Management Association for a conversation with Gretchen Spreitzer (Ross School of Business). She will present her latest insights on thriving and work. Her research focuses on employee empowerment and leadership development, particularly within a context of organizational change and decline. Her most recent research is examining how organizations can enable thriving, especially in contexts dealing with the new world of work such as coworking spaces. This is part of a new movement in the field of organizational behavior, known as Positive Organizational Scholarship (www.bus.umich.edu/positive). The Best Teacher in You (2014) with Bob Quinn, Kate Heynoski and Michael Thomas. The Oxford Handbooks of Positive Organizational Scholarship (2012) with Kim Cameron. Leadership (2003) with Kimberly Perttula. Gretchen is the faculty director of the Center for Positive Organizations and previously directed the Ross Leadership Initiative. She teaches electives on Leading Organizational Change for MBAs and BBAs, and the Multidisciplinary Action Project (MAP) Program. She also has been a core faculty member in the Leading the Positive Organization, Management of Managers, and Emerging Leaders Executive Education Programs at Michigan as well as many custom programs. She serves on the editorial boards of Academy of Management Journal, Organization Science, Journal of Applied Behavioral Science, Journal of Organizational Behavior, and Organizational Dynamics. 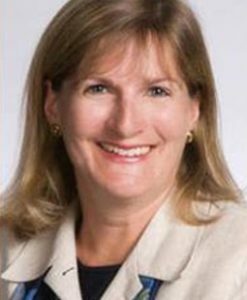 She has been elected to leadership positions in several professional organizations including the Academy of Management (where she was on their Board of Governors and was division chair of the Organization Development and Change Division) and the Western Academy of Management (where she served as President). Gretchen has been elected as a Fellow of the Academy of Mangement and was awarded the Western Academy of Management’s Ascendant Scholar award for early career contributions, the JMI Distinguished Scholar Award, and the Martin Trailblazer award in conjunction with the Positive Organizational Scholarship Faculty at Michigan.